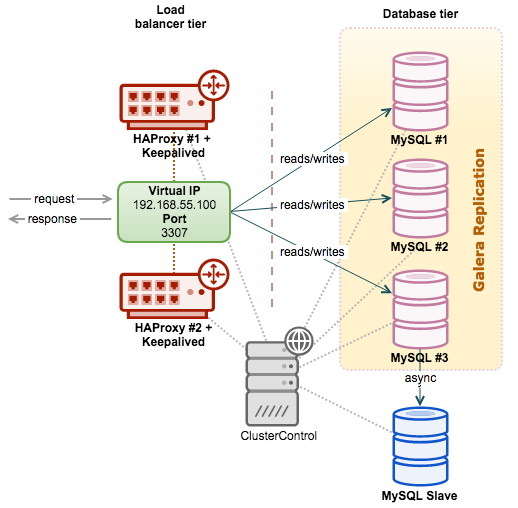 If you have deployed databases with high availability before, you will know that a deployment does not always go your way, even though you’ve done it a zillion times. You could spend a full day setting everything up and may still end up with a non-functioning cluster. It is not uncommon to start over, as it’s really hard to figure out what went wrong. 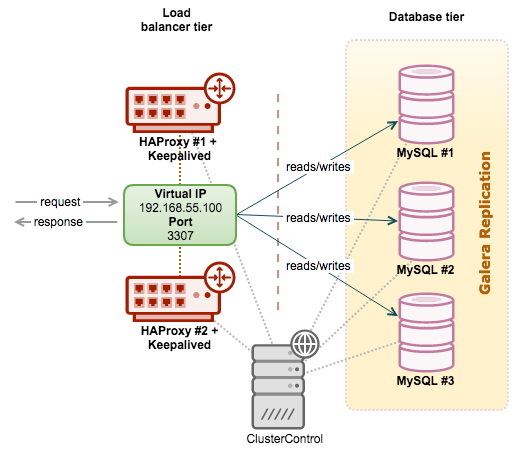 So, deploying a MySQL Galera Cluster with redundant load balancing takes a bit of time. This blog looks at how long time it would take to do it manually vs using ClusterControl to perform the task. For those who have not used it before, ClusterControl is an agentless management and automation software for databases. 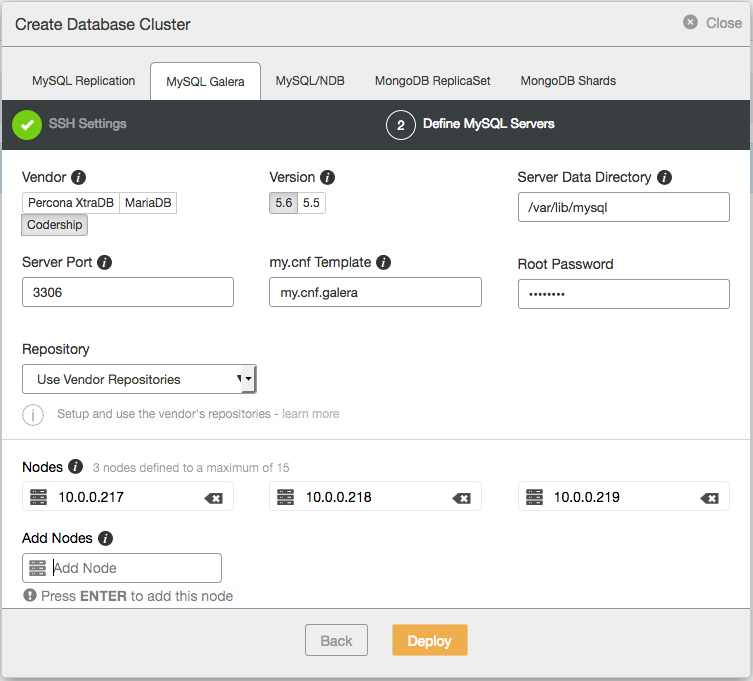 It supports MySQL (Oracle and Percona server), MariaDB, MongoDB (MongoDB inc. and Percona), and PostgreSQL. For manual deployment, we’ll be using the popular “Google university” to search for how-to’s and blogs that provide deployment steps. The above commands took around 18 minutes to finish on each DB node. Total deployment time was 54 minutes. 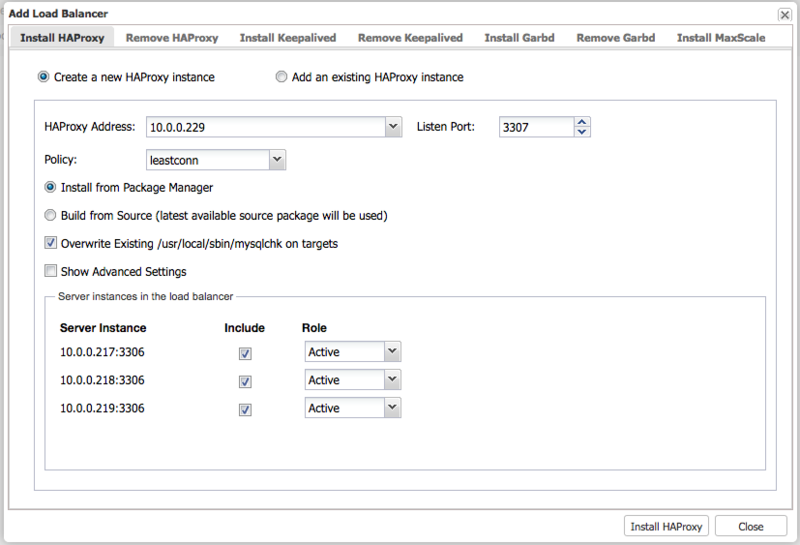 Login to the ClusterControl UI and create the default admin user. To sum it up, the total deployment time including installing ClusterControl is 15 + 4 + 1 + 5 = 25 minutes. To summarize, we needed less steps and less time with ClusterControl to achieve the same result. 3 node is sort of a minimum cluster size, and the difference would get bigger with clusters with more nodes. 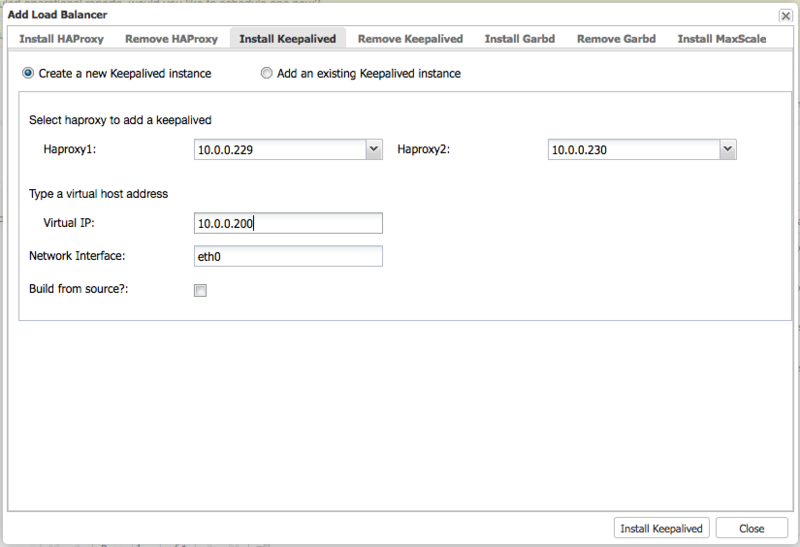 Now that we have our Galera cluster running, the next thing is to add a load balancer in front. This provides one single endpoint to the cluster, thus reducing the complexity for applications to connect to a multi-node system. Applications would not need to have knowledge of the topology and any changes caused by failures or admin maintenance would be masked. 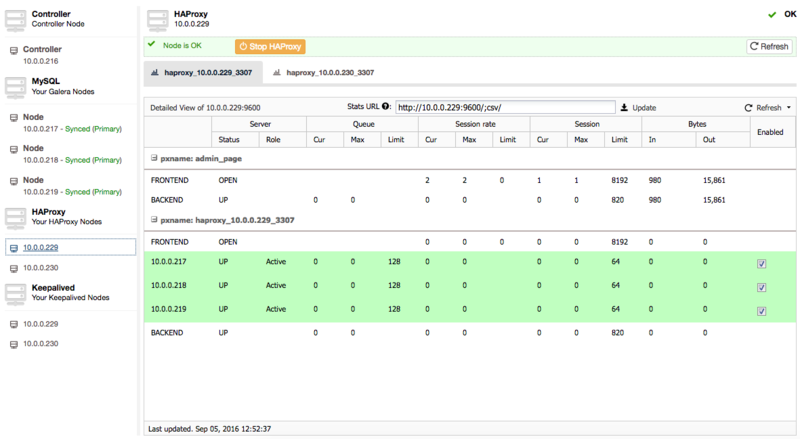 For fault tolerance, we would need at least 2 load balancers with a virtual IP address. The total deployment time for this was around 42 minutes. Thus, total deployment for load balancers plus virtual IP address and redundancy is 1 + 5 = 6 minutes. Our setup is now looking pretty decent, and the next step is to add a read replica to Galera. What is a read replica, and why do we need it? 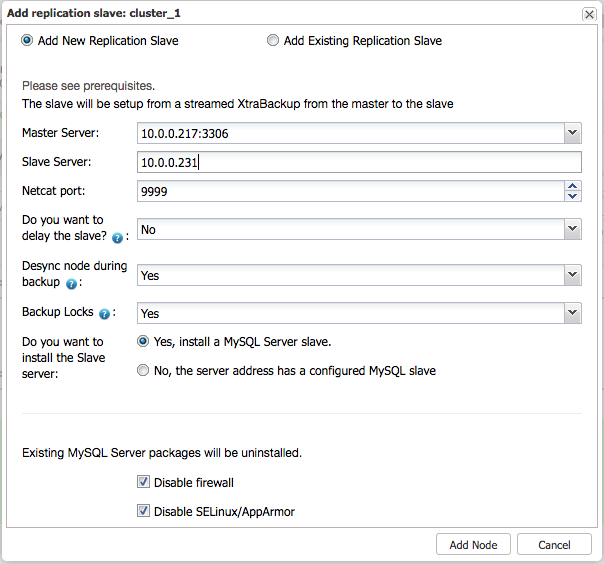 A read replica is an asynchronous slave, replicating from one of the Galera nodes using standard MySQL replication. There are a few good reasons to have this. Long-running reporting/OLAP type queries on a Galera node might slow down an entire cluster, if the reporting load is so intensive that the node has to spend considerable effort coping with it. 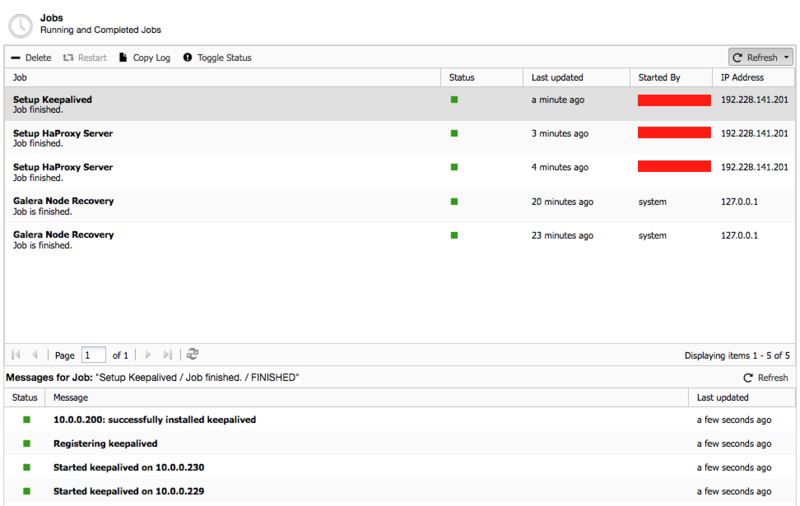 So reporting queries can be sent to a standalone server, effectively isolating Galera from the reporting load. 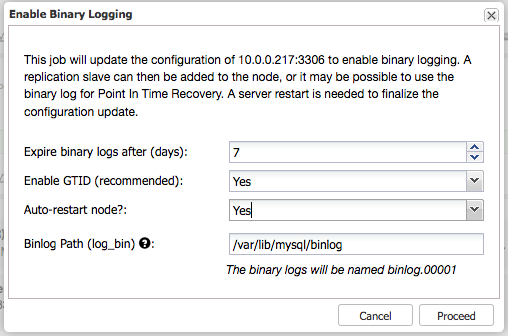 An asynchronous slave can also serve as a remote live backup of our cluster in a DR site, especially if the link is not good enough to stretch one cluster across 2 sites. The total time spent for this manual deployment was around 40 minutes (with 1GB database in size). Click “Add node” and you are set. 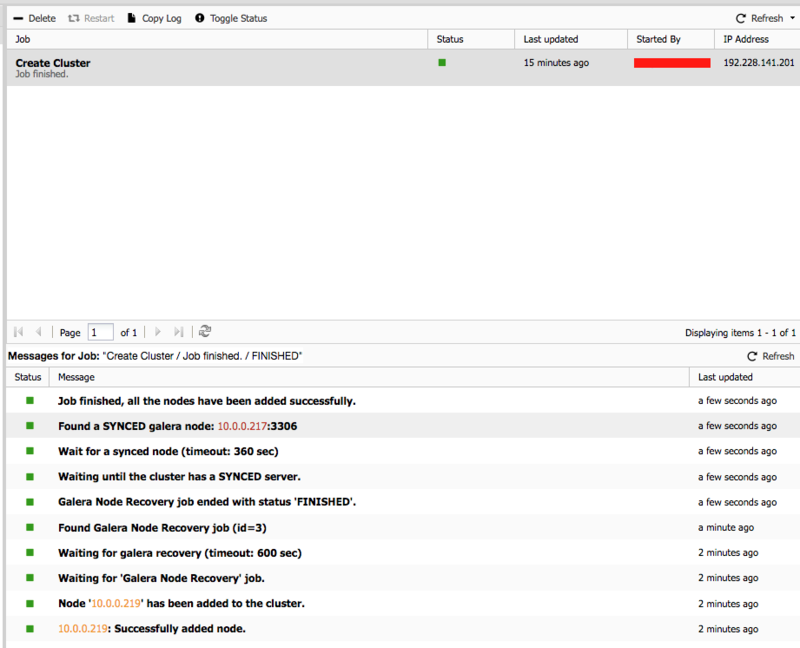 Total deployment time for adding a read replica complete with data is 6 + 2 + 0.5 = 8.5 minutes. We can see that ClusterControl automates a number of time consuming tasks, including slave installation, backup streaming and slaving from master. 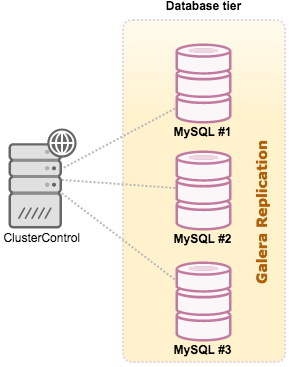 Note that ClusterControl will also handle things like master failover so that replication does not break if the galera master fails..
A good deployment is important, as it is the foundation of an upcoming database workload. Speed matters too, especially in agile environments where a team frequently deploys entire systems and tears them down after a short time. You’re welcome to try ClusterControl to automate your database deployments, it comes with a free 30-day trial of the full enterprise features. Once the trial ends, it will default to the community edition (free forever).